#5frugalthings I've done this week... Iceland, Sky Mobile & easter! 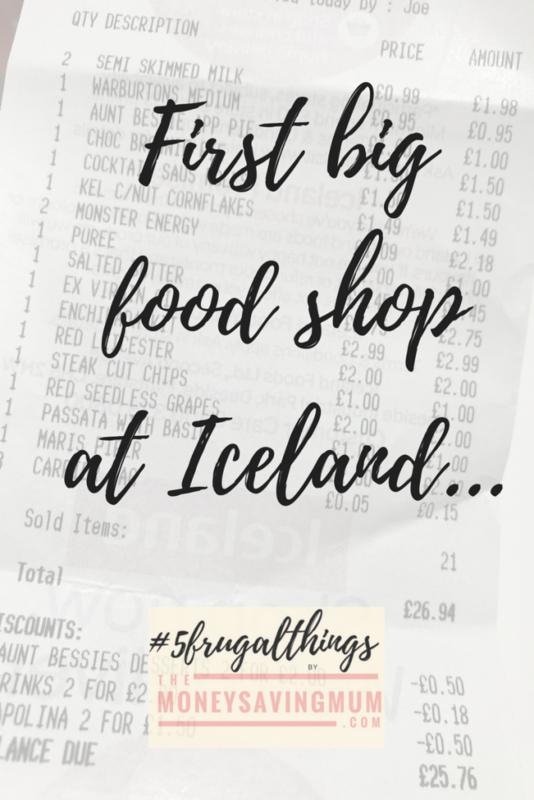 Do you remember last weeks #5frugalthings… and my quest to give shopping at Iceland a go… well I did it! I always thought it was only really frozen and fridge foodstuffs they sold to be fair but walking around they have so much more than that! Yes the majority is freezer food but they have so much more from fruit and veggies to obviously your essentials; milk, bread, butter & cheese! I spent £25 in Iceland for the bulk of my shopping this week however I probably wouldn’t say it was a full shop… I did an inventory of the freezer and found we had a ton of meals in there that we really ought to use up so the receipt doesn’t sure a true ‘food shop’ reflection I feel this week. I did nip into Asda for just orange/blackcurrant squash though and couple of other bits and bobs spending just £10 though which I was very happy with as well as popping to Aldi for breads; burger buns, croissants and crisps. I also went into Home Bargains for a couple of other bits including dog treats but also managed to buy all our Easter decorations too meaning we spent just £50 on shopping this week AND ended up being able to buy my Easter decorations for the difference between that and what I would usually spend at Asda (£60+). Also I feel it’s well worth noting here too that I could’ve also gotten my shopping delivered…. yes delivered FOR FREE !!! 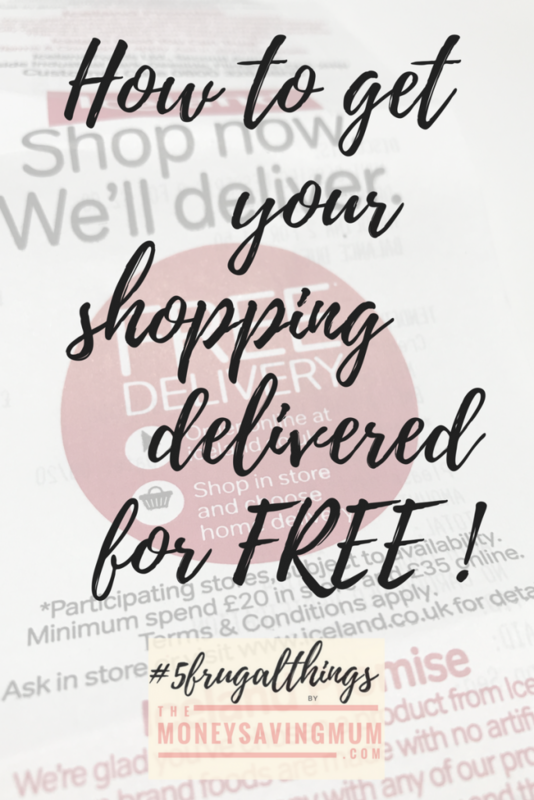 Iceland offer a fab service in that if your order comes to just £20 instore or £35 online then they will deliver your shopping FOR FREE !! You hear that Asda… for free !! I am yet to experience a decent delivery service from a supermarket (mainly because all I’ve ever used in Asda!) but as you know I refuse to do my weekly shop there anymore… if you are a follower of our weekly vlogs over on YouTube then you will no doubt know why! Also as a follow on from last weeks Sky TV post where we saved £30/month AND now have a Sky Q box; when hubby was on the phone with them they told him about what I think will probably be my next phone contract for sure. He explained that due to being an existing Sky customer we could get free calls and messages with Sky Mobile and he can add 10GB of data for just £15/month! Obviously we would need to keep our phone with it being a Sim only deal but there is absolutely nothing wrong with my phone at the moment so I am for sure going to find out when my contract is up renewal and seriously consider this fab deal! Log on to your account now to see what deals YOU can get! I didn’t buy this because I already have some in but it’s certainly a frugal something I wanted to share with you this week; I came across this amazing fake tan that I genuinely use. I usually pay at least £4 for it from Boots/Superdrug etc however look what I spotted in Home Bargains last week…. …. and for just £1.99! What a steal !! Bargain! £3.89 at @bootsuk and even that’s half price… suppose to be £7.79!!!! Just £1.99 at @homebargains 👀 genuinely love this tan too! As I also mentioned I bought a few Easter dec’s the other day again from Home Bargains (totally not a sponsored post by the way I just truly love that store!). I had been in a couple of shops before HB but hands down they beat anyone else when it comes to Easter stock… I got these cute light up eggs, some straw, some empty eggs, chocolate and some awesome awesome awesome fake rubber eggs…. seriously brilliant and bloody hilarious! Finally for this weeks 5 frugal things I ordered one of these cuties from Amazon that arrived only yesterday; at just £1.74 too such a bargain! You can pick on up via the link below too if you want! We have started to really watch were we are spending our pennies and have decided to are start drawing out cash and only spending what we physically have in our hands. We are too slap-happy with our cards that we are just not thinking about them as money and putting anything and everything on them which is just getting out of hand! Not like owing debt out of hand it’s not like that fortunately but I find it really hard to track what we’ve spent where as when I have my cards, hubby has his and until the statement comes through we don’t actually know what’s on them! I hope this helps & I’d love to hear how frugal you’ve been this week!